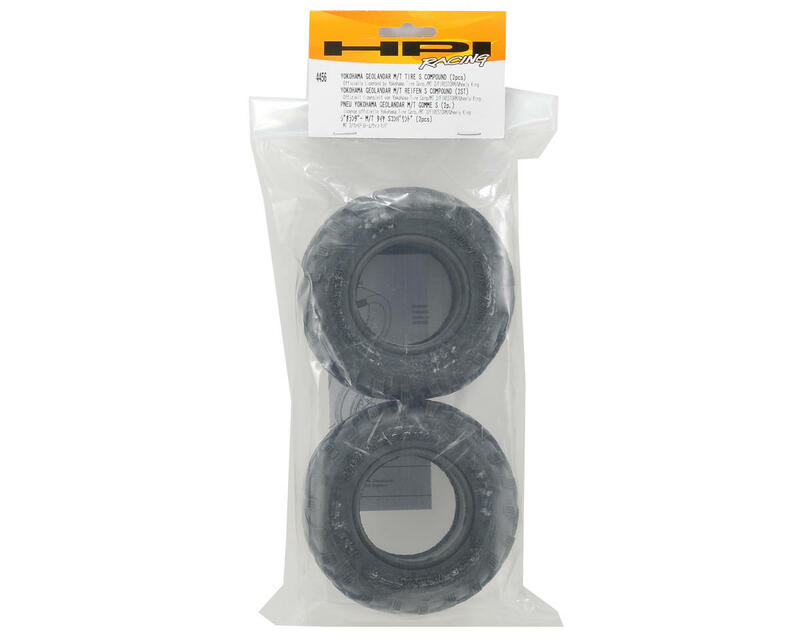 This is a set of two HPI Yokohama Geolandar M/T Tires in S Compound, and are intended for use with the HPI Crawler King, MT2, Savage XS, Wheely King and Rush EVO trucks. These tires fit all 2.2" 1/10 scale truck wheels. Officially licensed by Yokohama and featuring the exclusive sidewall markings and tread design of their famous Geolandar tires, these are the ultimate in scale realism for 1/10 scale truck owners! 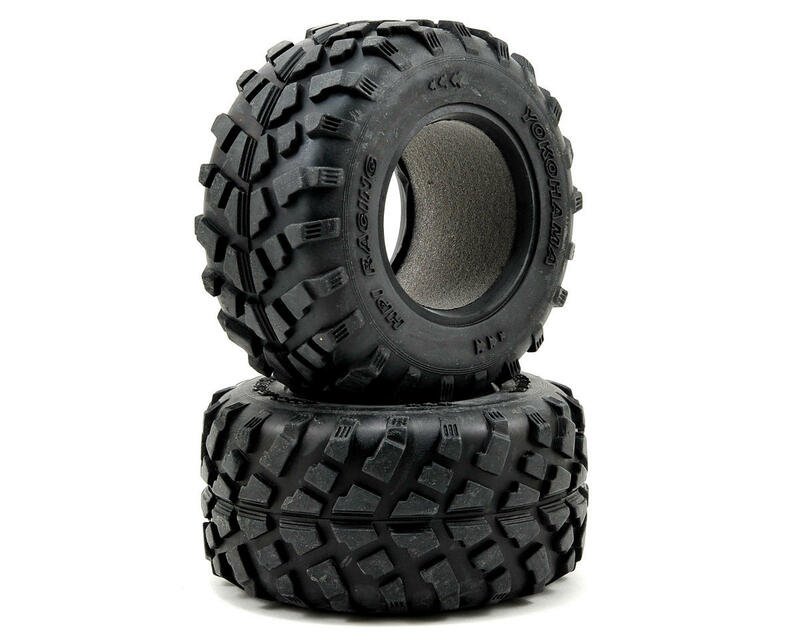 Made from HPI's sticky S Compound rubber, these tires will grip almost any terrain!